The quest for smarter, healthier and more sustainable solutions to meet higher employee expectations is changing how companies see their offices, with implications for how facility managers and cleaning companies need to think about office hygiene. Metropolitan areas with high population density and a rich variety of businesses and workplaces are driving the development. To understand how the office environment is changing and the effect this has on hygiene and facility management, we have developed the Tork Office Trend Report. The report is based on interviews with office planning experts and facility managers, and a survey of office workers in 17 major cities such as New York, Shanghai and London. Results indicate three trends – an increasingly intelligent, conscious and flexible office. Employees are becoming more knowledgeable and demand more from their office environments. 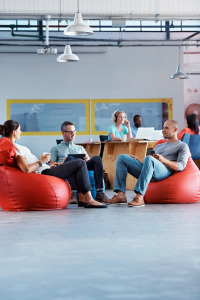 Office connectivity and new flexible ways of organizing the workspace are enabling development. “From cubicles to activity-based interiors, offices have undergone, and are undergoing, a constant development. Understanding where that journey is headed will be key to be able to provide solutions that are relevant in tomorrow’s offices” says Jenny Logenius, Global Brand Innovation Manager at Essity. Employees expect tangible improvements, putting pressure on employers and facility services. Managers follow suit and become more interested in providing an office environment that is healthy, sustainable and attractive. This brings new opportunities for facility service and cleaning companies.